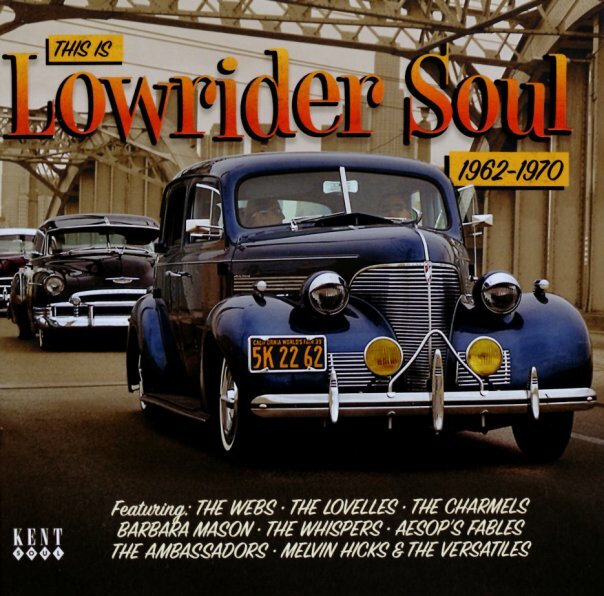 There have been lots of Lowrider soul compilations on the market over the years – documenting the great of of mellow cuts on the LA scene of the 60s – particularly the kind that could move slow, but with a heavy groove at the bottom – perfect for chilling out in the back of a car on an endless summer night! Yet few have ever done the job as well as this collection – because in the hands of Ace/Kent Records, the music finally gets proper historical context – moved past the jargon of the East LA in crowd, and presented with great sound, and the kind of detailed notes that really get at the special qualities that made the west coast soul scene so different than the east in the 60s! The set list is superb – fantastic mellow soul tracks that are perfect, even if you don't care about this history – and titles include "It's Not That Easy" by Reuben Bell with The Casanovas, "I Really Love You" by The Ambassadors, "As I Sit Here" by The Whispers, "One More Chance" by The Four Tees, "Take A Step" by Aesop's Fables, "Why'd You Put Me On" by Bobbi Row & The Englishmen, "I Wanna Chance" by The Vows, "Second Hand Happiness" by Jimmy Conwell, "Be Kind To Love" by The Interpreters, "As Long As I've Got You" by The Charmels, "Don't Forget About Me Baby" by Jeff Dale, "I'm A Lonely Man" by Bobby Burn, "Crying All By Myself" by William Bell, "I'm Just Passing Time" by Melvin Hicks & The Versatiles, "When You're Poor" by The Lovers, "It's So Hard To Break A Habit" by The Webs, "Find Me" by The Attractions, "Never Gonna Let Him Know" by Debbie Taylor, and "Pretending Dear" by The Lovelles. © 1996-2019, Dusty Groove, Inc.